Welcome to Ladies Touch . . . . 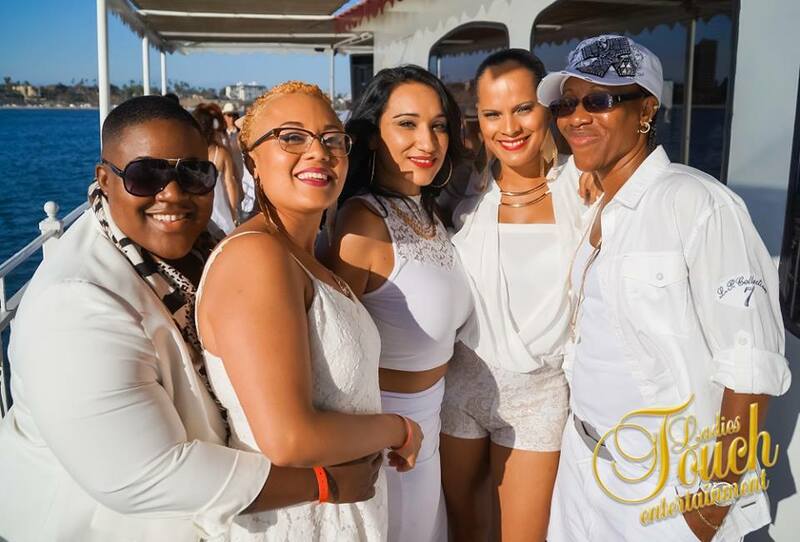 It's been twelve incredible years and Ladies Touch Events and Travel has brought some of the best parties and travel experiences to the SoCal LGBTQ women’s community. From its trips to Brazil, Thailand, Costa Rica, Rooftop Summer Series, New Years Black Out Event at the Standard Hotel Downtown, Los Angeles & Long Beach Pride Events, Dinah Shore's leading diverse event- a Touch of Seduction, and the list goes on...it's no doubt of why they've come so far. There's a definite reason why LTE continues to be successful; with building corporate partners, community non-profit affiliates, celebrity appearances, and a database that continues to grow by the day Ladies Touch continues to excel their patrons expectations. Led by Vivian Perez- a former nightclub manager and recording artist, she keeps her finger on the pulse by seeing how she can continue to fill the void as well as leave a lasting impression because of her excellent customer service. Working in the entertainment and nightclub industry from New York to Los Angeles has also taught her what it takes to throw a hot party. Ladies Touch signature feather stroking upon entering all events, began in 2006, when this East coast native with co-partners at the time envisioned invigorating the Los Angeles LGBTQ women’s party scene. Their mission? To create a diverse, safe, classy and feel good party atmosphere for LGBTQ women. Always providing an all star female DJ lineup -- Spark,Syrehn, Addiction, CakeMixx, Irma Covarrubias, Lady DJ Jamar, Puffs, etc the buzz from these seasonal parties continues. All Payments are Safe, Secure and Encrypted. Your Privacy is Important To Us and all Information is Confidential. When Traveling it is Important to Know the rules of The Land. Please have Passports Up to Date and All Required Documentation. Don't Forget To Subscribe To Get The Latest Updates and Travel Deals. We Look Forward To Hearing From You.